Hull Outreach Update: We are currently taking a break from our Friday night outreach and Bible study. Please check back here for updates. 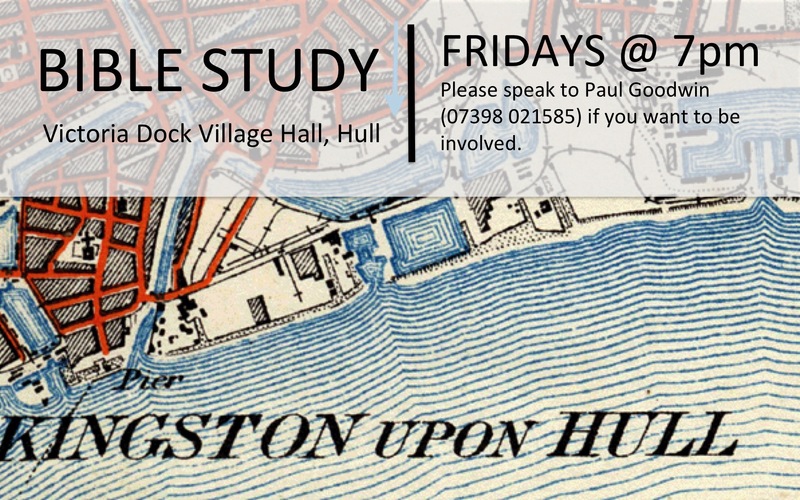 If you live in the Hull area and are interested in studying through the Bible verse by verse, please feel free to join us. We begin our time with a few acoustic worship songs, spend a few minutes in prayer, and then move into the Bible study. We would love for you to join us as we seek the Lord! Postcode is HU9 1TS. If you can’t make the Bible study, please join us for Friday Night Street Worship in Hull city centre. We usually set up in King Edward Square (across from McDonald’s- HU1 3JA) from around 5:30 to 6:30pm weather permitting.